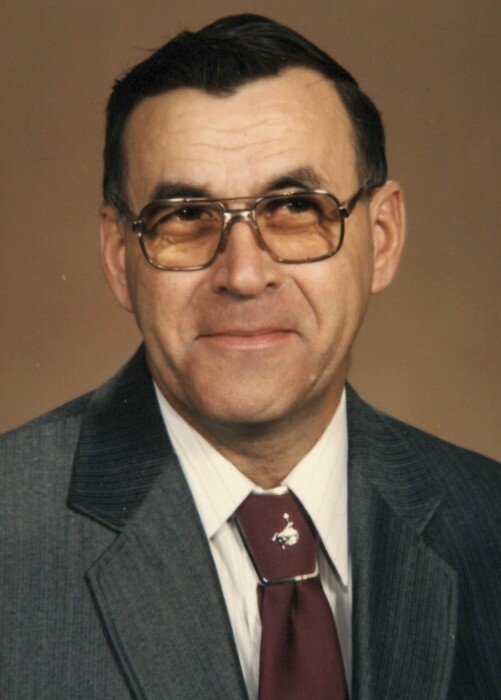 Christ C. Schaff, 87, of Mandan, ND passed away peacefully at St. Vincent’s Nursing Home in Bismarck, ND on January 18, 2019. Mass of Christian Burial will be held at 10 AM on Wednesday, January 23, 2019 at Christ the King Catholic Church, Mandan, ND with Rev. Nick Schneider as celebrant. Burial will be at Mandan Union Cemetery. Visitation will be held Tuesday, January 22, 2019 from 5:00-8:00 PM at Weigel Funeral Home, with a Rosary/Parish Vigil at 7:00 PM. Visitation will continue at the church one hour prior to the service on Wednesday. Christ was born May 27, 1931 to Christ and Antonia Schaff in Bismarck, ND. He was raised on a farm near Solen, ND and graduated high school from the Assumption Abbey in Richardton, ND in 1951. Christ began work at Cloverdale Foods in Mandan after graduating high school where he met his wife Elenora. Christ and Elenora were married on June 17, 1952 in Flasher, ND. He continued to work at Cloverdale until 1976. Christ worked at Cass Clay in Mandan until 1988 when he retired at the age of 57. Christ and Elenora lived in Mandan, ND all their married lives. He was well known in the area for his accordion music and his band, ‘The Collins Avenue Kings’. He had his band for 35 years and could be seen playing at weddings and local establishments. After retiring, Christ and Elenora loved to go out dancing. He also loved spending time with his kids, grandkids, and many friends. Over the years, they were involved with various social groups. Christ and Elenora became snowbirds in 1993, and wintered at Happy Trails Resort in Surprise, AZ. When they returned in the spring, they would spend their summer months camping with family and friends near Lake Sakakawea. Christ is preceded in death by his parents, father-in-law and mother-in-law Mike and Irene Schafer, Flasher, ND, siblings, Frank, Steve, Helen, Pete, Margaret, Peggy, Ida, and Philip, and an infant daughter. He is survived by his loving wife of 66 years, Elenora, Mandan; daughter, Bernetta (Jim), Glendive, MT; sons, Rick (Jane), Elk River, MN, Arnie (Connie), Greeley, CO, and Gene (Renee), Maple Grove, MN; sister, Katherine Combs, Bismarck, ND; 12 grandchildren; 20 great grandchildren; and many nieces and nephews. Go to the tribute wall to sign the guestbook and share memories.